It has been two weeks since the last Max's Wine Dive's "Le Tour Du Vin" wine tasting. Today is their third of six in this wine tasting series and the theme of this evening is going to be ... France!! But before we get ahead of ourselves, I know you want a recap of the second Le Tour Du Vin wine tasting (in case you missed it, the recap of the first one can be found here). The country theme of that second wine tasting was Spain and boy was it sabroso!! 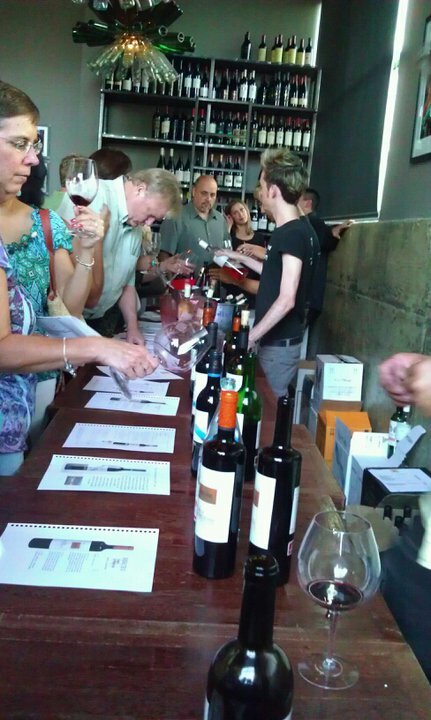 It has been two weeks since the last Max’s Wine Dive’s “Le Tour Du Vin” wine tasting. Today is their third of six in this wine tasting series and the theme of this evening is going to be … France!! But before we get ahead of ourselves, I know you want a recap of the second Le Tour Du Vin wine tasting (in case you missed it, the recap of the first one can be found here). The country theme of that second wine tasting was Spain and boy was it sabroso!! 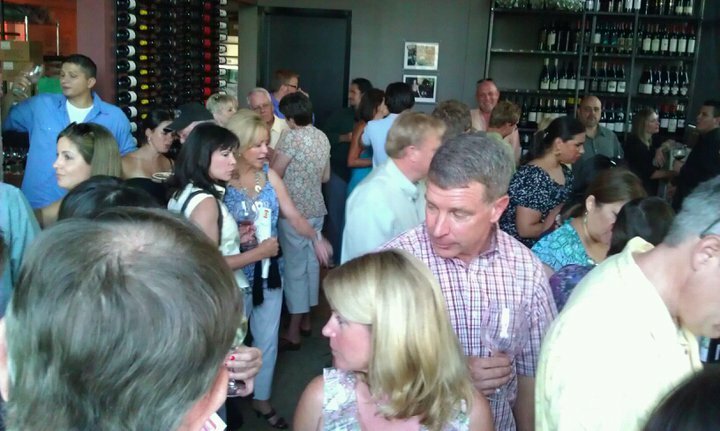 But you know, if you have to be stuck in the middle of a crowd, it might as well be a wine tasting crowd! In addition to the wine tasting, Max’s cooks up some delicious appetizers according to the country. 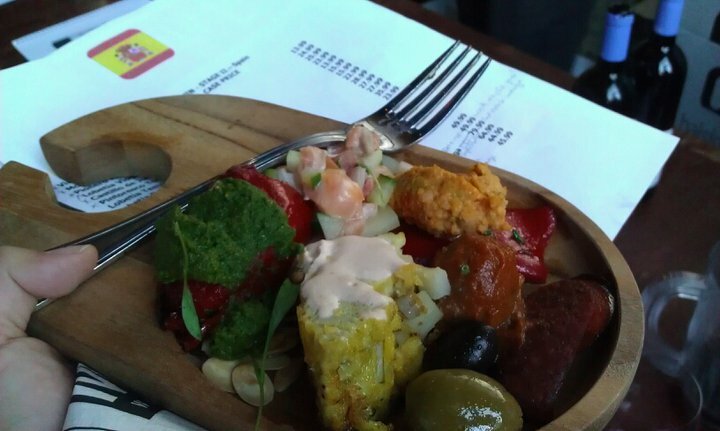 You can guess that for the Spanish theme, the appetizers were an array of Spanish tapas! So on the part of the evening I kept my palate clean for, the vino! I enjoyed this tasting a lot for three main reasons. First reason – because Spanish wine is the bomb-diggity. Second reason – because the wine tasting was set up to where we were able to taste wines from the same bodega, but one would be the more affordable wine ($15-30) and the other would be the ‘spensive one ($45-80). And don’t be giving me any grief that the ‘spensive wine is not THAT ‘spensive … I am still in my twenties, so those six figure pay checks haven’t started rolling in yet … so those wines are ‘spensive). First on the affordable/’spensive wine list are the cavas (aka Spanish sparkling wines) from Canals & Munne in Penedes, near Barcelona in Catalunya, Spain. The first cava we tasted was the Canals & Munne Insuperable Brut Cava ($24) made from a blend of the following grapes: 40% Macabeo, 30% Xarel-lo, and 30% Parellada. It had rich and complex flavors and aromas of light honey, baking bread, citrus, and almond, which are all due to the fact that this wine was aged on its lees (residual yeast sediment) for 25 months. This had to have been one of the best affordable cavas I have had to date. They did have to tease me though and offer their ‘spensive cava for tasting, the Canals & Munne Reserve Semi Rose ($45) made from an blend of 75% Monastrell (aka Mourvedre) and 25% Garnacha (aka Garnache). This pink cava was AMAZING. It is one of those wines that you bust out when you want to get your way :) Need a wine to seduce your loved one with … this one is it, lol. This wine was wonderfully complex and had a lot more richness to it that most other rose sparkling wines I have tried. It had very fine bubbles, which carried with them aromas of a bowl full strawberries, cherries, and plums, even a hint of licorice and some sort of spice and slight woody notes. As this wine is aged for almost 3 years before being released, it has the time to form these complex and delightful aromas. Second of the affordable/’spensive tasting was the Bodegas Resalte de Penafiel in the Ribera del Duero region in Northern Central Spain. 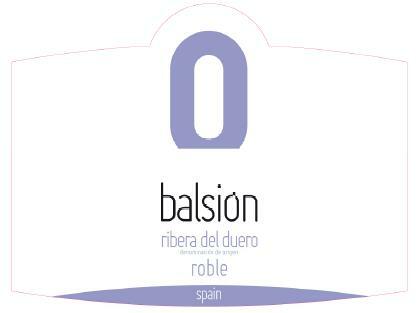 First up was the Balsion Roble ($28.99) made from 100% Tempranillo grapes. It has notes of ripe black fruits, minerals, liquorice, vanilla, cocoa and spices with a medium length finish. One of those wines that tastes like it should be more expensive, gotta love those kind of wines! Last in this affordable/’spensive line up from the same bodegas were two wines from the Bodegas Federico Paternina located in Rioja, Spain. The first wine we tried was the Federico Paternina Banda Azul Crianza ($28) made from the 75% Tempranillo and 25% from Garnacha and Mazuelo. It is is rich in aromas of dark cherries, vanilla, wood, and spices. The tannins are smooth and it has a wonderful lengthy finish :) If you happen to speak spanish, check out this YouTube Video of the enologist doting on his wine. 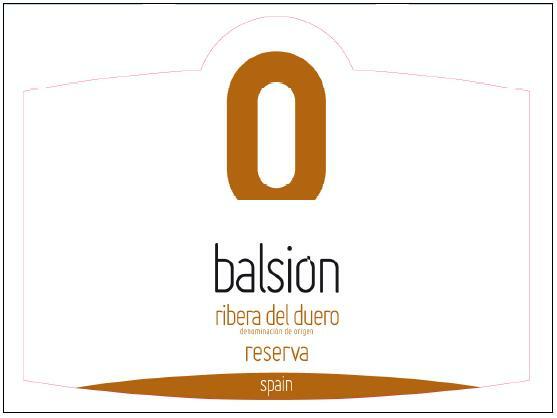 Vino Joven (“young wine”) or sin crianza, the wines will have undergone very little, if any, wood ageing. To really get you in the mood, here is a YouTube video in English showing you the history, location, and wine making areas of Bodegas Federico Paternina. I am so excited for the French theme at Max’s Wine Dive’s “Le Tour Du Vin” tonight. It will be a nice way to remember the time I just spent in France. Previous Previous post: When at Joe Saglimbeni’s wine shop … drink as the Greeks do? Next Next post: It’s Greek to Me!